Life Insurance – Life is complicated, . . . . and so is Life Insurance. At Concklin Insurance Agency, we work hard to explain the options and help you develop a life insurance strategy that is right for you and your loved ones. Let’s discuss your needs today. Business Insurance – Protect your business from unforeseen influences such as accidents, theft, injury, cyber breach and natural disasters. Concklin provides business insurance solutions that protect physical assets and minimize potential liability that may develop during any given business day. Pizza Delivery – Concklin Insurance has been offering Pizza Delivery Insurance Programs for over 30 years. Our Pizza Delivery programs has been providing customized insurance with proprietary coverages written specifically for franchise and independent pizza delivery operations. Concklin Insurance Agency recognizes the importance of being a Trusted Insurance Advisor. We offer transparency, especially when it come to pricing, without overpromising. We target and tailor our services to your specific needs, whether you require insurance for your business, insurance for your family, or insurance for your personal property, we will find the plan that best suits your needs and budget. With over 50 years of service, Concklin Insurance Agency is proud to be meeting the needs of over 8,000 businesses and families. We offer more than inexpensive solutions, focusing instead on determining your insurance requirements based on risk management, providing you insurance information relevant to your situation or industry, and offering sound advice on upcoming trends and pit falls to avoid. Our goal is to reduce gaps in your coverage, raise your awareness of potential risks and lower your overall costs. Choosing an insurance agent can be complicated, but it doesn’t have to be. Concklin Insurance Agency makes it simple by being an Independent Agent. While other insurance agents broker only one brand of insurance, independent agents represent multiple brands. This means Concklin Insurance Agency can compare coverage and pricing across a large spectrum of insurance companies – ensuring you get the best possible value, tailored to your individual needs. To learn more about the companies we work with click here! 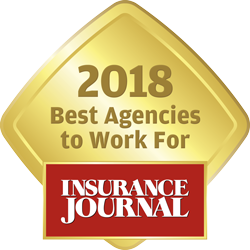 Concklin Insurance Agency is a proud member of SIAA, a network of independent insurance agencies working together to increase access to major insurance carriers. SIAA allows Concklin Insurance Agency to offer competitive rates while maintaining an intimate, personalized relationship with their clients. Protecting your business is our business. Concklin Insurance Agency offers solutions to protect assets and minimize potential liabilities. From accidents to theft, cyber breach to natural disasters, we want you to feel confident in your coverage in an ever-changing commercial marketplace. Visit our Business Insurance to learn more about the different types of business insurance coverage or contact us now. Insurance is not a one-size-fits-all industry. Some industries require more specialized coverage, which is why Concklin Insurance Agency offers a wide range of competitive niche market insurance options. Concklin Insurance provides customized insurance with coverage written specifically to your business. Whether you are a franchise, sole-proprietor or corporation, if you deliver pizzas, haul propane, work with Landscaping Tools, or simple need a plan that is outside the box, Concklin Insurance Agency will create a program to meet all your insurance needs. Click here to learn more about the special markets we currently insure or contact us to find out what we can do for you! Health and Life Insurance seem to be getting more complicated than ever before. Concklin Insurance Agency strives to provide you with the options and answers you need to develop a strategy that is right for you and your family. Please visit our pages for more information about Health Insurance and Life Insurance or contact one of our knowledgeable agents! Concklin Insurance Agency provides a wide range of Personal Insurance coverage to protect your assets. Get insurance for the big and little things that matter to you. Personal Insurance coverage can mean so much more than protecting your home and car. Contact one of our agents to find out more!